I know its been an eternity since my last post, but hope the new year finds you in good spirits.The past several months have been a combination of procrastinating on posting & living life, so this post will be mostly pics, of some of the projects I made over the past year. 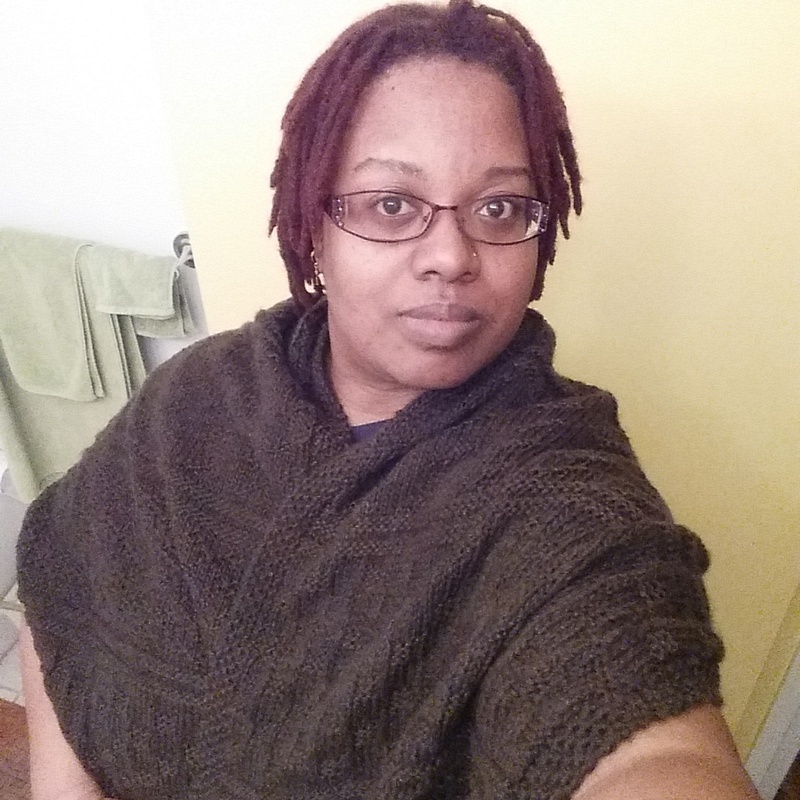 I made this shawl as a birthday gift for a coworker about a year ago. Initially I had made a scarf for her, but noticed she always put on a jacket in the workroom when it got cold. 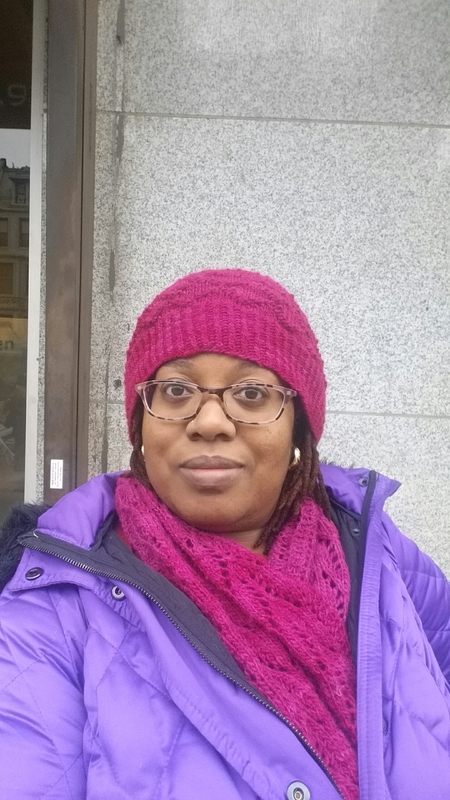 Plus I had changed my mind about the scarf when I realized it matched one of my winter coats perfectly, lol. It fit around me pretty well so I was a little concerned it would smother my coworker, who’s a much smaller frame. But nevertheless she loved it, and wears it quite often. She’s waiting for me to bring in one for myself, so we’ll both be chilly together in the same room, lol. Made this clapotis scarf for my friend Nicky from D’Nali. 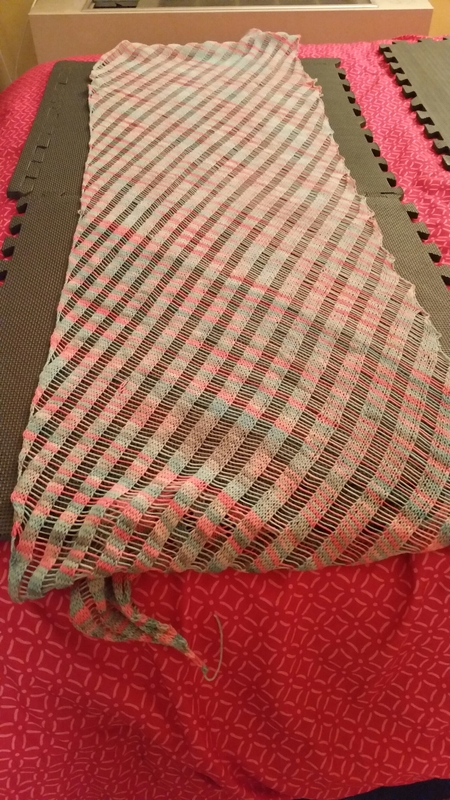 It was my second time making a clapotis. I got a few frazzled nerves at a couple points when it came time to drop stitches. It makes for a nice scarf for the spring or if you’re in a room with too much air conditioning. 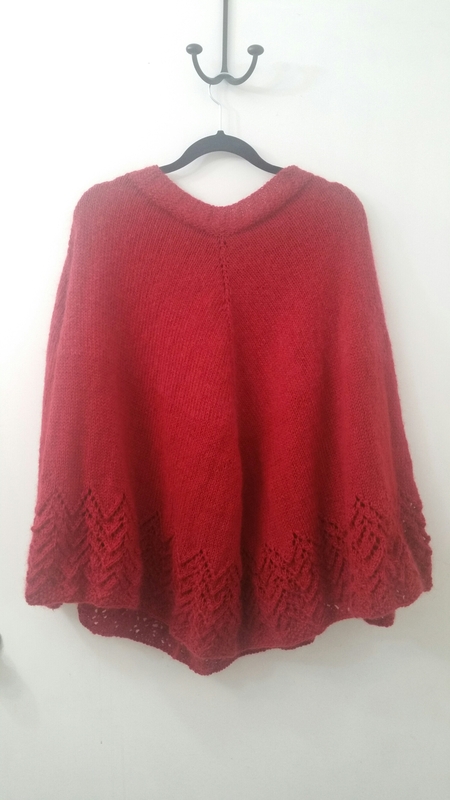 This poncho I started during a family vacation to Cancun over the summer. It’s made from Rowan wool yarn I bought in bulk at a steal of a bargain from a local thrift store. It feels soft though the yarn sheds a little due to the mohair content. And because of the red color when I put it on I look like Little Red Riding Hood. I brought home a much smaller haul from this year’s Rhinebeck festival than in years past. My primary objective was to find the yarn winder which I got at a bargain, and the dryer balls, which I’d been hearing good things about and promised myself I’d switch to using when I finished my fabric softener. The yarn were just random finds. I focused on shopping for worsted weight this year since my current stash is overwhelmingly sock and dk weight yarn. The white yarn, I have no idea what I’m going to do with it yet. I bought it on impulse after slightly stalking a fellow customer inside the booth who had it in her hands contemplating buying it, hoping she’d change her mind and put it down. Which she did to my delight, lol. 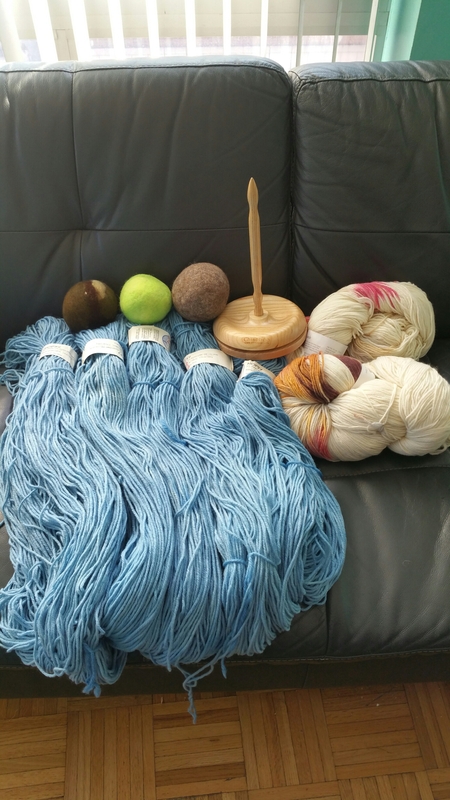 The blue yarn, which I’m currently using for my latest work in progress, is from one of my favorite vendors, Blue Moon Fibers, that was being sold at discount. I bought all 5 of the remaining skeins from their discount rack at huge discount. The last project is this hat & scarf set I finished just in time to start wearing when when the weather started getting cold. 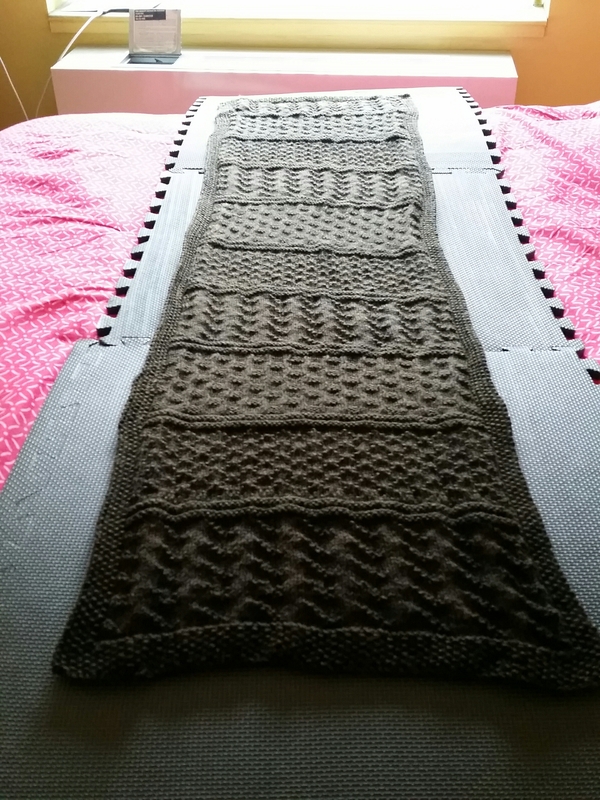 The yarn is from Freia that I bought from their discount bin at a past Vogue Knitting Live show. I don’t usually wear fuchsia & purple together but I think in this case, it works well.